The New York Times ran a story in 2012 about the outpouring of credit card debt lawsuits being filed. They compared this widespread outbreak to the “robo-signing” fiasco which plagued the mortgage industry in years past. Now it seems the debt collection industry has taken up “robo-lawsuits” and are filing thousands of lawsuits a day all across America, including Massachusetts and Rhode Island. Lawsuits are being filed with the expectation that 99% of all defendants will not answer. In 2017, this is still a big problem. Lots of people people being taken to court by debt collectors and lenders, many of them don’t owe a dime. This is the new trend, plaguing thousands upon thousands of consumers in America today. The biggest problem with these debt collection lawsuits is that about 90% of them are flawed. Debt collectors cannot prove that they are the ones owed the money. They cannot prove how much money is owed, if any. This is where consumers must take charge. Knowledge is power. Knowing things the debt collectors wish you didn’t know will often place you in the driver’s seat when it comes to Debt Collection law suits. 1. Start at the Beginning, Answer the Lawsuit. If a debt collector files a lawsuit against you to collect a debt, you will receive a summons (typically in the mail). Many people ignore these types of summons, because they look like ordinary mail. Within the summons is a complaint. The complaint has a date to respond and instructions on how to file an answer. Take note of the instructions and, if you like, look for a form to respond to the complaint. In Massachusetts, Mass.gov has forms that can help you in small claims or in district court. These forms can be easily filled out. You must remember to respond to the lawsuit, either personally or through your lawyer, by the date specified in the court papers. This will preserve your rights in court. It’s simple and doing maintains your right to challenge the debt in court. Even if you owe this debt, a two-sentence response denying liability to the lawsuit filed in court will suffice. When you do this, chances are your law suit will likely lead to a negotiated settlement. This will save you money in the long run, because most of the time the debt amount is inaccurate. The number one mistake people make when they are sued is failing to respond to the notice in the complaint. In your answer, you can simply Admit, Deny or express Lack of Knowledge to each statement made by the plaintiff debt collector. Of course you don’t admit to any statement unless you know it’s 100% true, so be honest. Don’t guess. If you don’t know whether or not, for example, the account number listed is your credit card number, or the debt amount is actually the amount of money owed, deny the claim. The same is true for all the allegations. If you do not understand what the plaintiff is saying, you should say, Lack of Knowledge. Lack of Knowledge simply means you don’t know whether that statement is true or not. Then, take your answer to the clerk of court and file it. Mail a copy to the other side. Ask the clerk the proper procedure for making copies and mailing. Better yet, don’t bother taking chances or taking the day off from work to file papers with the clerk, talk to your lawyer and bring in the big guns to fight this for you. Pay your attorney to hassle with the paperwork. Even if you don’t have an attorney, don’t be shy or embarrassed. Filing an answer doesn’t mean you want to avoid paying your debts. It only means you are a smart consumer. It means that you want the debt collector to do his job and prove their allegations against you. In any business transaction, it is always best to be sure that you actually owe the correct amount before paying it. The same applies to debt collection law suits. This is why you file a simple answer. The collection agency must prove they have the right to collect this debt, if you ask them. This is their job. Make them work. All collection agencies have a duty to provide good evidence of a transfer of the signed credit card agreement, but only if you ask. If you don’t ask, they have no duty. So, if you ask and the other side does not produce paperwork, you you don’t understand it, ask the magistrate or the judge to dismiss the case. When the plaintiff does not have the “chain of custody” paperwork giving them the right to collect this debt from you, they lose. It’s rather enjoyable when a judge or magistrate takes a good look at the chain of custody paperwork many debt collectors provide. Some of them shake their head. Then, they dismiss the case. It’s that simple. Mass Legal Help is a great website that gives examples of how to answer and challenge a debt collections law suit in a simple and complete manner. 3. Make the Debt Collector Prove the Amount Owed, Why Not? This is a good one. In most debt collection law suits, there are so many charges upon charges, and fees no one understands, it’s not funny. Make the debt collection agency prove the amount owed by simply asking them to provide the original signed agreement and a balance on the account from zero to the present. If they can’t prove what you owe, the judge will not be able to make a ruling and will dismiss the case. If they hand you a huge stack of paper, don’t feel threatened. Either ask for them to show you what the papers mean, or ask for a continuance so you can examine the documents. I talk a little bit more about this in my article, Debt Collection and 7 Deadly Sins. Take a quick look at point 3. Greed. This may help you. State law provides that debt collectors have a maximum amount of years they can legally sue you for debt they think you owe. This is different than collections. A debt collector can bill you forever, but a debt collector cannot sue you in court to collect beyond the statute of limitations period. But again, a person needs to use this as a defense in court for it to be effective. When that statute of limitations period expires, the debt collector will lose if you defend using the statute of limitations. Use this as a defense and get your lawsuit dismissed. If it applies, it works! In legal terms, a debt that has exceeded the statute of limitations is also called a “time barred” debt. When, exactly, the statute begins (or begins to toll), is different for different debt and for different state laws. For credit card debt, typically the statute begins to toll from the date you made your last payment. You can find more info on Time barred debt defenses in Massachusetts in the online Mass law library. There may be other legal arguments about the statute of limitations, like the conflict of laws and the significant relationships test. But essentially, the statute of limitations for most debt in Massachusetts is six years from the date of the debtor’s last transaction, or payment, on the account. Ask your attorney, if you have any questions and want to know if this statute applies in your case. If a debt collector has violated any part of the Fair Debt Collection Practices Act (FDCPA), you may be able to sue them and could get a money damage award. Consumers can successfully sue for violations of the debt collections practices act and are entitled to statutory damages of $1,000, plus punitive and economic damages. This is where debt collection law suits can be actually quite enjoyable, for me anyway. For you, maybe not so much. As a lawyer, this is what I’ve been trained to do. There’s nothing wrong with finding violations. Holding debt collectors to the higher standard they are called to perform is the right thing to do. Holding their feet to the fire, so to speak, is what’s best for consumers. This is why it’s not a bad idea to hire a lawyer to file a well-drafted answer to the complaint and attend court with you. If the debt you have is more than you can manage or the debt you are being sued for is large, it may make good sense to talk to an attorney. A good bankruptcy attorney will help you discover whether or not filing for bankruptcy is an option for you. Filing for bankruptcy will keep you protected by the automatic stay, which will halt any and all debt collection efforts being made against you. If you are thinking about filing bankruptcy, talk to an attorney quickly. Don’t wait until the day before you are supposed to be in court. Lawyers can’t typically file bankruptcy paperwork the next day. That’s not how bankruptcies work. Bankruptcies are very paper-work intensive and tedious. To find out more read Bankruptcy, the Easy Way Out, Really? While it is possible to successfully defend a debt collection lawsuit, it’s often very difficult and emotionally charged. If the debt collection agency is successful in court, they can get a judgment entered against you. This, in turn, would allow the collection agency to garnish your wages or even go after your bank accounts or place liens on your home, vehicles or other property. I tell all my clients that debt collection law suits are like traffic tickets. It never pays to ignore them. Reply to the summons. Go to court. What do you have to lose? But better than just “winging-it,” speak to a good bankruptcy and debtor defense lawyer first. Some law offices like ours, offer a free first consultation. When you hire a good debtor defense lawyer to help, there are virtually a hundred or more different defenses that can be used to protect you against garnishments and attachments. Currently, we are taking defendant clients for debt collection law suits. Our first consultation is free. I’m always happy to meet new clients and am willing to work around your schedule. Exploring your best options with an experienced attorney can’t get much easier. This is only one way we are transforming the way people do business with lawyers. ABOUT ME: Attorney Kelly is an attorney in good standing, licensed to practice in both the Federal District and State Courts of Massachusetts and Rhode Island. 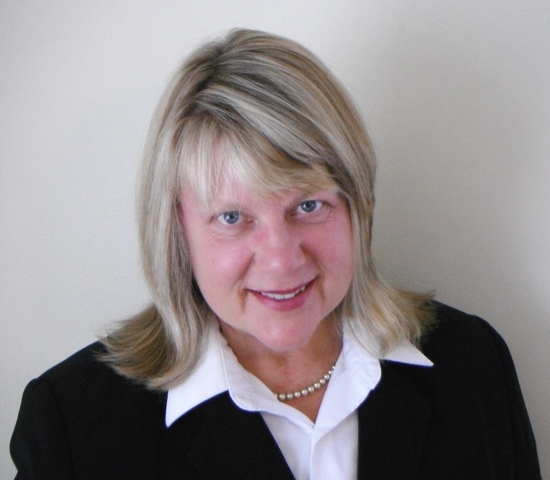 Her law practice is focused on consumer debt, finance, bankruptcy and District Court matters. Attorney Kelly is experienced in both criminal and civil trial work. On a personal note, Attorney Kelly enjoys writing and other things, like conservation and agriculture. To find out more, visit, www.attorneykelly.com or call us at (508) 784-1444. NOTICE: This is an Advertisement. This post is not legal advice. Consult your attorney. Attorney Kelly does NOT provide legal advice to anyone via social media or anywhere over the Internet. Any and all electronic posts and writings, by Attorney Kelly, does NOT establish any type of attorney-client relationship, whatsoever, neither perceived, actual, material, implied or other. We can not stress enough, if you need personal legal advice, always see your attorney. Do not rely upon Attorney Kelly’s posts, writings or any Internet information on websites or social media for your own personal legal advice. Seek legal advice and representation from your own personal attorney. Copyright © 2017 by Ginger B. Kelly, Esq., all rights reserved.